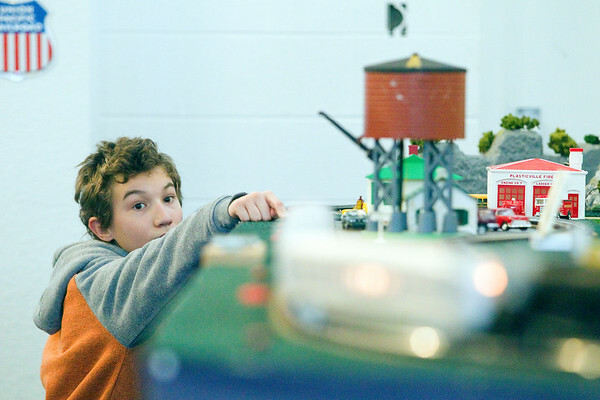 Neo Marks, 11, of Frankfort pushes a button to make a train move during the Festival of Trains at the Crooked Tree Art Center - Traverse City. The event, hosted by the Northern Michigan Railroad Club of Traverse City and Great Lakes Children's Museum, began in 1991. It is open daily through Dec 31.